NCBC Med-Laser | Skin Rejuvenation Clinic in Toronto | 5 reasons to get Cynosure Laser Hair Removal at NCBC Med-Laser this Autumn! 5 reasons to get Cynosure Laser Hair Removal at NCBC Med-Laser this Autumn! Never shave, tweeze, or wax again! 1.) NCBC Med-Laser is offering fantastic promo packages of 4 and 6 sessions now through December 15 2015 so there is even more benefit for you when you start this September/October/November/December. See pricing here. 2.) After laser hair removal sessions, the areas that are treated will be sensitive to sun exposure. All those autumn layers you’re wearing are perfect for protecting your skin and your investment. The cooler, breezey weather will also keep you nice and comfortable as your skin heals in post-treatment. 3.) It is recommended that you don’t get a tan between laser hair removal sessions due to consistency in the melanin production. Furthermore, laser hair removal is most effective when your skin is untanned because the laser can better target the hair while your skin is in a more protected state. 4.) Due to variance in hair growth, the number of sessions needed to achieve optimal results may differ, but 4-6 sessions are recommended. Starting in Fall means you’re giving yourself enough time so that when the Spring comes, you aren’t rushing for a hair removal solution. Instead, you’ll be ready to unveil your smooth, touchable skin. 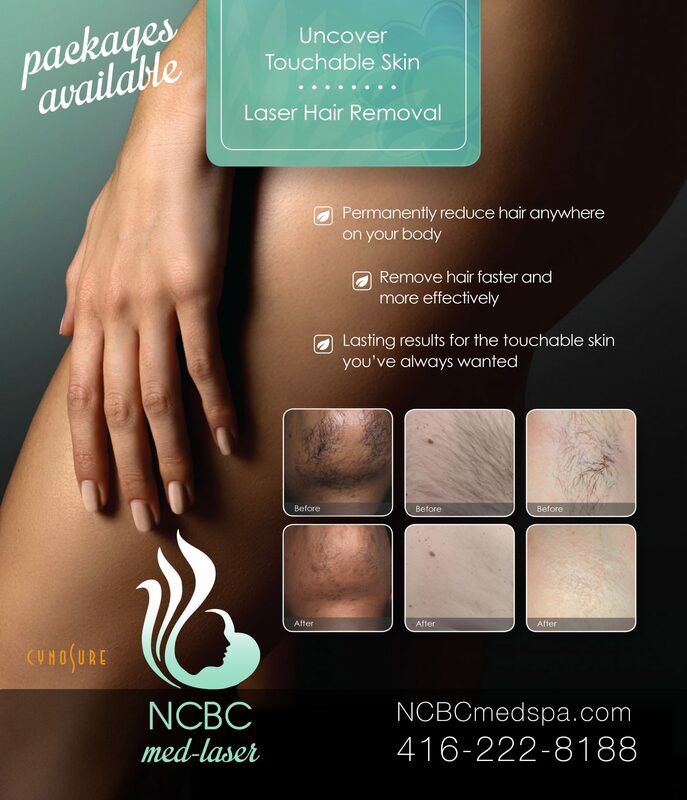 Uncover touchable skin with laser hair removal at NCBC Med-Laser!